"Our clients know who we are, know that we will be there when they need us, and know we will get the job done right." 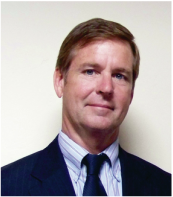 Tim Cleath, a certified hydrogeologist (CHG) and certified engineering geologist in California (CEG), is the president of Cleath-Harris Geologists. Tim has an extensive understanding of water resources gained through over 30 years of hands-on experience and personal involvement with water issues on the Central Coast. Tim also performs volunteer work in hydrogeology that spans the globe. Tim's knowledge of local ground water conditions and his working relationships with local and State agencies will greatly facilitate and expedite projects. 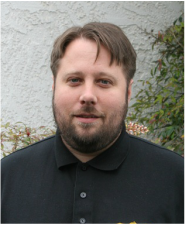 Spencer Harris, a certified hydrogeologist (CHG) in California, has been with Cleath-Harris Geologists since 1994 and has 10 years prior experience in geophysical exploration and environmental consulting. 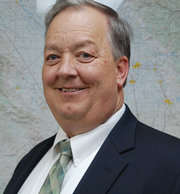 Spencer's varied background includes groundwater modeling, water resource management, land surveying, environmental assessments, and experience in numerous field techniques related to subsurface investigations. 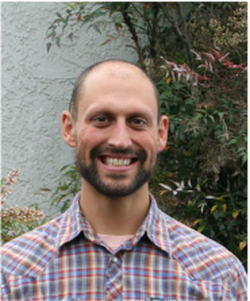 Spencer is a quality-oriented, creative professional with the hydrogeologic experience and understanding necessary to assess difficult issues, such as long-term sustainable yield and sea water intrusion. Project geologist Bryce Pfeifle received his Masters in Geological Engineering in 2011 and has been with Cleath-Harris Geologists since 2012. Bryce’s background includes groundwater exploration, geologic mapping, well design and construction monitoring, stream sediment source tracking, borehole logging, fluid level measurements, soil and groundwater sampling, pumping tests, and groundwater modeling. Project geologist Neil Currie received his Bachelor of Science in Earth Science in 2014 and his Master of Science in Petroleum and Natural Gas Engineering in 2017. Neil's capabilities include borehole logging, geologic mapping, well design and construction monitoring, stream flow measurement and classification, groundwater monitoring, thermal modeling, reservoir modeling, geothermal ​characterization, mine reentry and evaluation, fracture characterization and modeling, carbon sequestration evaluation, resistivity studies, and various engineering design, evaluation, testing, and management techniques for petroleum and natural gas reservoirs. Tim received a Bachelor of Science in Environmental Engineering in 2010, and a Masters in Geography in 2013. He joined Cleath-Harris Geologists as a GIS Specialist and Environmental Scientist in 2016. Tim’s capabilities include GIS, groundwater modeling, surface water and groundwater monitoring, air quality monitoring, and laboratory analytical techniques. Andrea graduated with a Bachelor of Science degree in Geology in 2007, working in oil and gas fields as a senior mudlogger for eight years before joining Cleath-Harris Geologists as a staff geologist in 2015. 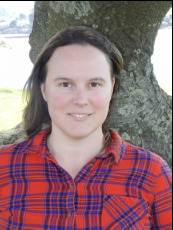 Andrea's capabilities include borehole logging, mineral identification, geologic mapping, well construction monitoring, and groundwater sampling.